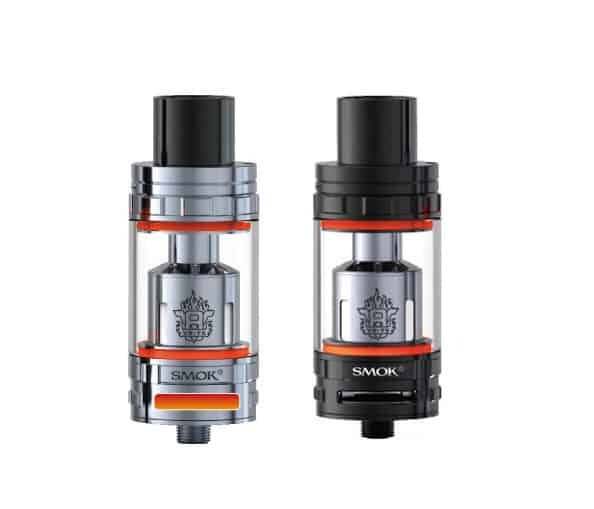 The little brother of Smok’s flagship tank The Cloud Beast, has been redesigned and scaled down! 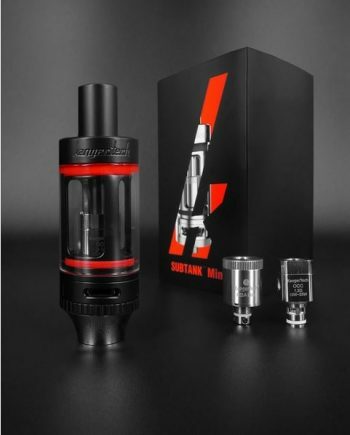 The TFV8 Cloud Beast tank is the well-known king of high wattage, cloud chasing sub-ohm tanks, and the TFV8 Baby Beast tank uses the original TFV8 platform and specifications, scaled down by over 40% in volume. 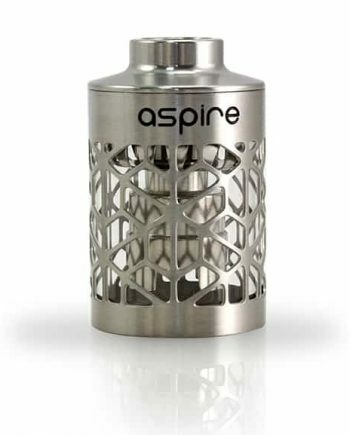 The TFV8 Baby Beast tank also drastically reduces the chimney length for much stronger flavour. Few tanks have such outstanding machining and build quality. Made with a flush glass tank and a 22mm diameter, the TFV8 Baby Beast will fit nicely on all previous and new devices, while still offering the flexibility of either bottom or top fill. 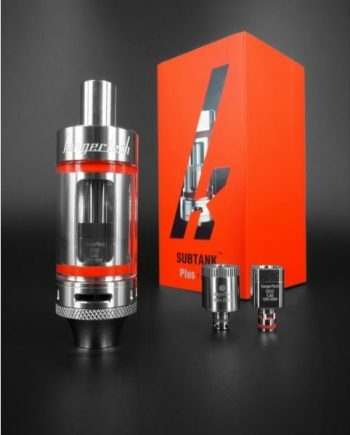 Larger 3.0ml liquid capacity than most mini sized tanks of similar size. 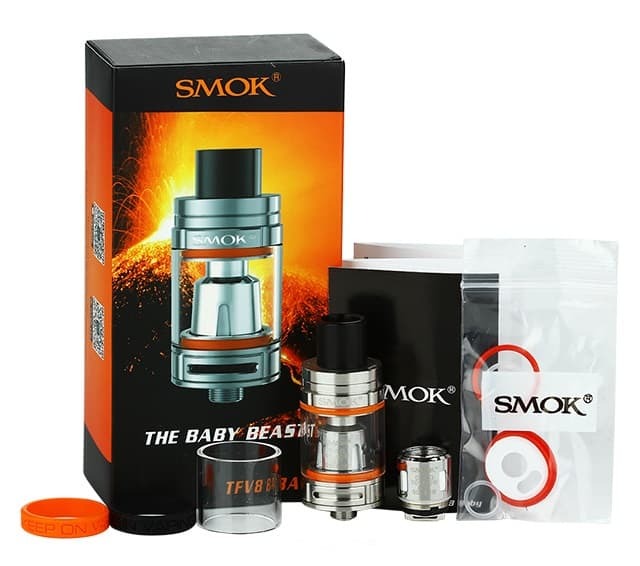 The TFV8 Baby Beast tank now uses a Turbo Engine coil design, and 2 large airflow ports for a smooth airflow system, assuring that you could use the Baby Beast for both high wattage – Direct Lung or Mouth to Lung style. 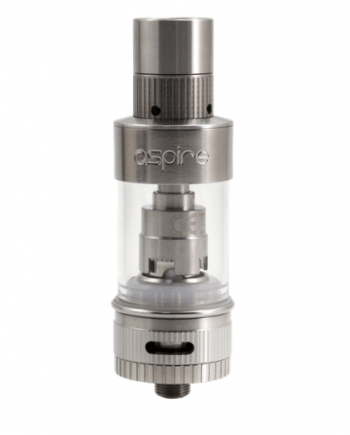 Dual Adjustable airflow ring. 100% Japanese organic cotton. Universal 510 Threading.